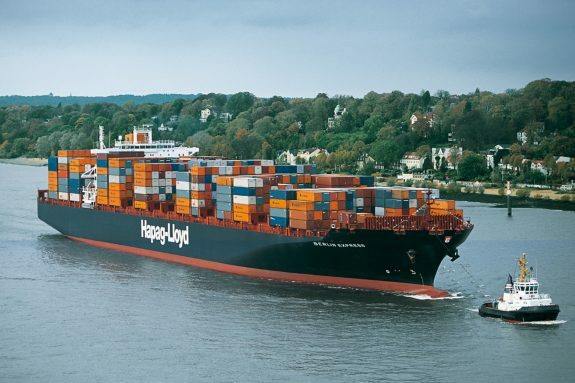 Rumours have emerged of an attempt by French-based shipping line CMA CGM to merge or take over its rival, Hapag-Lloyd. The veracity of the sources is not clear however comments by businessman Klaus-Michael Kuehne give them credibility. Several journalistic sources report that Mr Kuehne, who owns around 17% of the equity of the company, spoke to fellow shareholders at the annual general meeting of Hapag-Lloyd this week, stating the he did not want the company “to be taken over by the French” and that “at best, we should take over the French”. This implies that reports on the Reuters news agency that CMA CGM had made an approach was correct. The article stated that the offer was for a non-cash merger between the two companies. Hapag-Lloyd denied that the report was true. Mr Kuehne is the major shareholder, Chairman and former CEO of Kuehne + Nagel. ng Lines CSAV and the City of Hamburg investment fund all resisted the bid. Such a position is not entirely surprising. Klaus-Michael Kuehne has always been clear in his ambitions for a major container shipping line to be based in Hamburg, something he shared with the local government of the City. Both collaborated in a joint venture (the Albert Ballin consortium) to invest in the line. His commitment to Hapag-Lloyd has endured despite the varying performance of the investment. This may prove to be a hurdle for any consolidation attempt. However, a combined CMA CGM and Hapag-Lloyd could rival Maersk for the position of the largest shipping line. 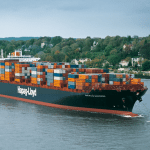 Certainly, Hapag-Lloyd is finding the market less than easy at present. Profits have come under pressure with the company blaming higher fuel prices and lower freight rates for lower profits. The CEO of Hapag Lloyd has also pointed to continuing capacity entering the market as being a problem. In theory, the takeovers and mergers seen over recent years ought to have moderated the market’s overcapacity. However, there is little sign of this so far.